Season 2 will be 10 episodes long. The April 13th premiere will be a 2 hour long event (just like the Season 1 premiere). Time to bring back the ‘Next Episode’ countdown clock! Personally, I’m a big action-adventure fan myself, and thought the commercial was a big success in portraying TURN as a “period thriller” TV show. Fast pacing, quick clips of guns firing/people jumping/people shouting, building tension, dramatic music – it grabs your catches your attention, that’s for sure. But I’m also a historian. And so, unfortunately, the excellent action pacing of the commercial was irredeemably marred by the accompanying text. IN ALL CAPITAL LETTERS, no less. Yikes! This does not bode well for the historicity of Season 2. As far as Hollywood mythbusting goes, this is one of the most open-and-shut cases I’ve ever seen. It’s this simple: Abraham Woodhull was not the first American spy to go behind enemy lines. He wasn’t even close to being first. There were likely dozens of agents who preceded him, only a handful whose names we know. Among them is a young man nearly every American kid heard about in grade school by the name of Nathan Hale. The “Nathan Hale” scene from Season 1, Episode 6. Washington: Following our retreat from Brooklyn Heights, I tasked an agent to reconnoiter enemy encampments around Long Island and seek out contacts friendly to our side. His name was Nathan Hale, and he was captured while on a mission for me. He was hanged as a spy. So what is going on with the Season 2 trailer? Normally I’d entertain the idea of chalking this up to an overzealous marketing team that didn’t do its homework, but unfortunately, the rather shoddy historical track record of Season 1 makes me think that painting Woodhull as “the first American spy behind enemy lines” is a deliberate call from higher up in the TURN chain of command. What makes this even more troubling is that the showrunners (and marketing team) are trying harder than ever to convince its audience that it’s grounded in meticulously-researched history. Heck, they even changed the name of the show to double-down on its connection to Alexander Rose’s “Washington’s Spies” book. And now, they’re making BOLD HISTORICAL CLAIMS IN ALL CAPS. A claim that happens to be completely false. There is definitely a disturbance in the (historical) Force. Finally, for those of you who are wondering, “Well, if Abraham Woodhull wasn’t the FIRST American spy ever, who was?” — stay tuned! 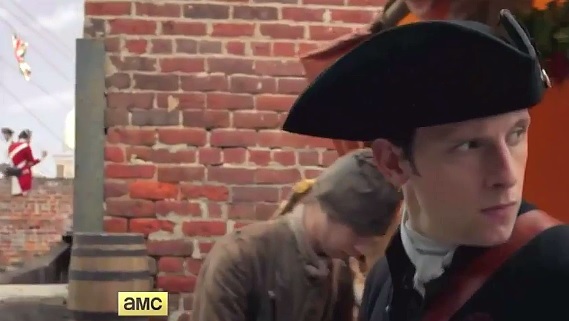 Even before AMC released TURN’s Season 2 trailer last week, there have been plenty of dubious claims about the designation of “first spy” flying around, both online and in print. And what about the Culper group being labeled as “America’s first spy ring?” We’ve got the answers on deck here at the blog — right after a short digression on the fifty shades of historical fiction that we’ll post by week’s end. And did you know that John Graves Simcoe and Benjamin Tallmadge are, in fact, birthday twins? You would have if you followed TURN to a Historian on Facebook or Twitter! Both men were born on February 25th, only two years apart from one another (Simcoe in 1752, Tallmadge in 1754). We’ve got plenty of reading material on both brilliant officers if you’re feeling celebratory — click the links above or search the subject tags on the sidebar to the right, and enjoy! 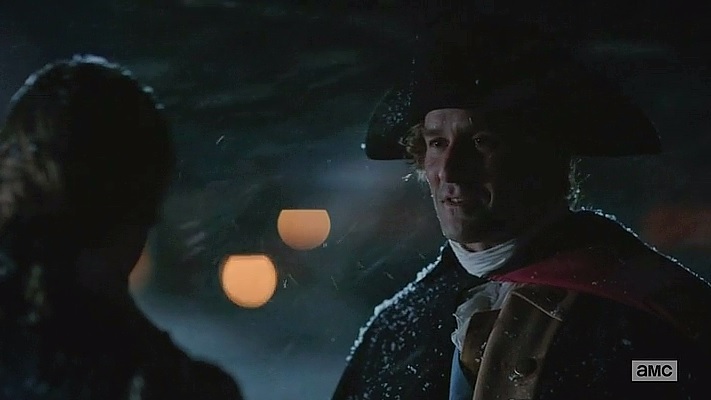 This entry was posted in First Impressions, TURN news and tagged Abraham Woodhull, amc turn, america's first spy ring, benjamin tallmadge, episode 106, george washington, historical accuracy, history of espionage, John Graves Simcoe, Nathan Hale, season 1 episode 6, Season 2, TURN, TURN ads, turn amc.